Long Ago Peoples Place is a recreation of a traditional First Nations Village. It has traditional living structures as well as tools and hunting recreations. 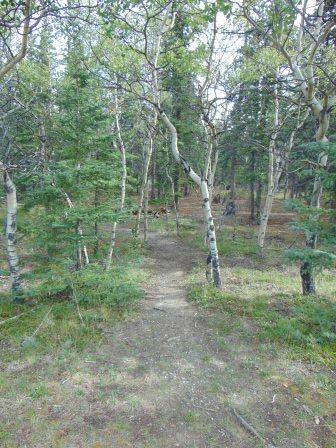 It is located just off the Alaska Highway, near Champagne Yukon, between Whitehorse and Haines Junction. Since 1995, Long Ago Peoples Place has been educating and entertaining visitors from around the world. It is an excellent school resource, a great place for tour companies as well as individual travelers, and an excellent place for government and mining companies to learn Southern Tutchone history and culture.